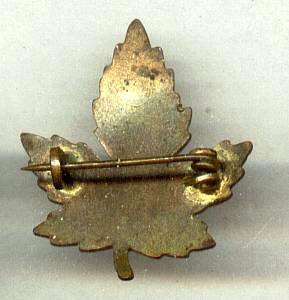 This is another pretty Canadian enameled leaf souvenir pin with a "c" clasp. There is some oxidation to the coppery metal finish on the back. Some kind small black fleck was on the leaf when the clear resin was put over the front. It measures approx. 1 1/8"X1". The shipping fees quoted are for first class/No insurance in USA. Items Similar To "Souvenirs/Canada Enameled Leaf Pin"